The Bad Boys are finally getting some good news. According to Deadline, a Bad Boys spinoff television series is reportedly in the works. The potential project is said to center around Special Agent Sydney "Syd" Burnett, the character Gabrielle Union played in 2003's Bad Boys II. The outlet indicates that the untitled spinoff is currently making pitching rounds with television networks, and has already sparked the interest of several places. A major commitment is expected. Jerry Bruckheimer, the producer of Bad Boys film franchise, Doug Belgrad of his 2.0 Entertainment and Primary Wave Entertainment banners, and B. Sony Pictures TV Studios are behind the spinoff, which The Blacklist writers and producers Brandon Margolis and Brandon Sonnier are on board to write. Union's Bad Boys II character is the sister of Martin Lawrence's Detective Lieutenant Marcus Burnett, and was romantically involved with Will Smith's Detective Lieutenant Mike Lowrey, Marcus' partner. Syd Burnett works as an undercover operative with with the Drug Enforcement Administration (DEA). The actress' schedule recently opened up when BET announced that her series Being Mary Jane is coming to a close next year, wrapping up with a two-hour series finale movie. News of this potential spinoff series follows after a slew of remarks that didn't look great for the franchise. A planned Bad Boys 3 movie was pulled from Sony's release schedule a few months ago, pushed from its previously confirmed November 9, 2018 release to an unknown date. 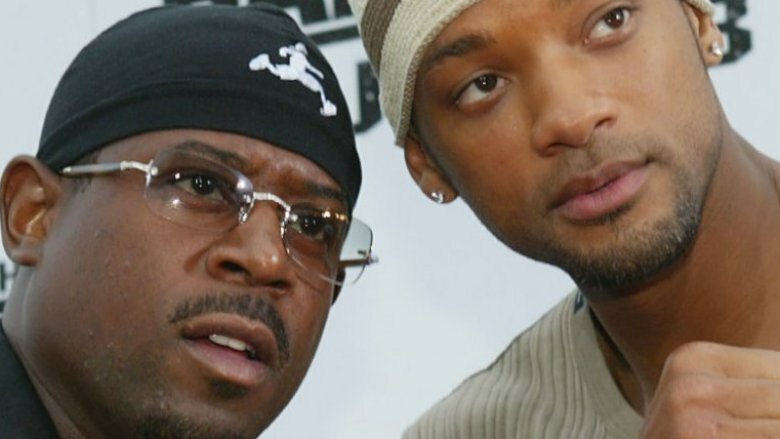 Not long after, star Lawrence admitted that he didn't believe Bad Boys 3 would actually happen. "I don't think we're going to get [another Bad Boys], not the way everything's turning out," the actor said. "Will [Smith, fellow Bad Boys franchise star] is off doing another movie, and I don't think it's going to happen." However, Bruckheimer recently commented that more Bad Boys content could be coming in the future. "Well, we've been developing [Bad Boys 3] for I don't know how many years now and we had a period of time where it got pretty close and then it drifted away a little bit and hopefully it will drift back again. We have a new writer on it who's working on it right now, so that gives me encouragement," he said. In any case, it seems that with a little bit of luck, fans will get more action-comedy thrills from the Bad Boys franchise with this impending spinoff.